Honda Motorcycle & Scooter India Pvt. Ltd. (HMSI) – the most trusted & favoured brand in South India today announced its latest deal with yet another aggregator in the shared mobility space – VOGO, India’s fastest growing scooter sharing network. 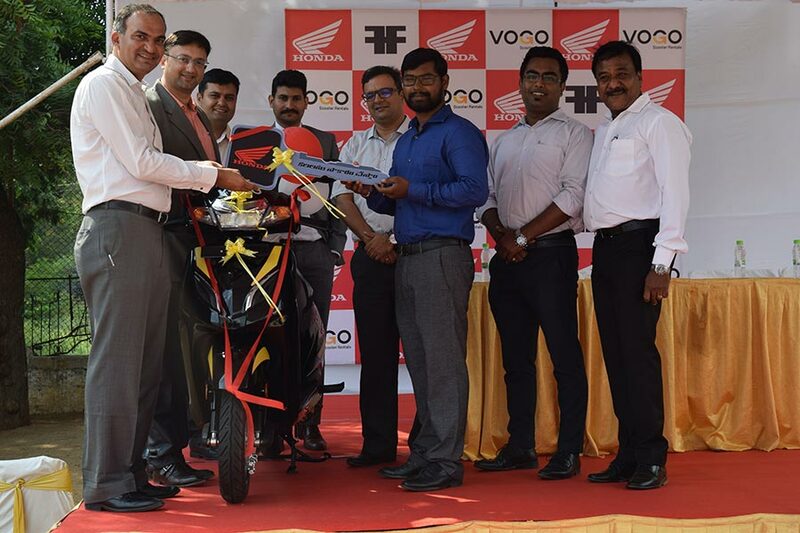 VOGO’s fleet of over 1500 scooters will comprise of India’s largest selling iconic scooter Activa 5G. 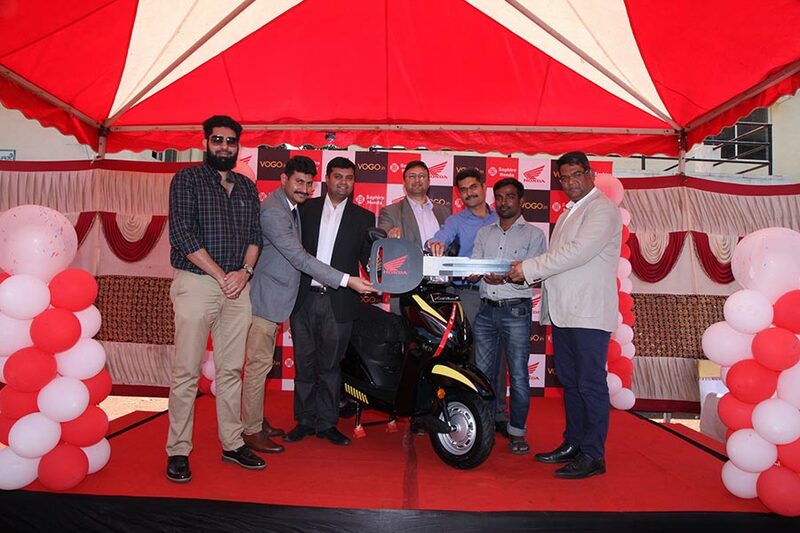 Delivering 200 units today in Hyderabad and soon delivering in Bangalore as well, Honda scooters will serve as the newest option for metro commuters for last mile mobility. Scooters are universally accepted due to their unisex appeal, comfort and convenience. Honda being the undisputed primary choice of customers, is being increasingly inducted by various shared mobility companies in their fleet. We thank VOGO for choosing Honda to be a partner for the latest fleet expansion and wish them success. Honda is fast becoming the first choice of 2Wheeler taxi aggregators. Very recently, Honda delivered 3000 units to one of the major aggregator in the southern region. From an initial business with 10 shared mobility players in 2014, Honda is now the choice of over 30 shared mobility players operating in key towns like Bangalore, Delhi, Mumbai, Hyderabad, Kolkata, Jaipur, Kochi, Ahmedabad, Gurgaon, Goa etc. Its noteworthy that, Honda’s products are preferred by shared mobility players across all 3 types of operations – be it aggregators, two-wheeler rentals or even the digitized self-ride rentals. We are excited to be working with a world class automobile manufacturer, like Honda, on our growth journey. We are building a strong network of scooters, being the preferred choice of shared mobility customers, that will solve traffic and congestion in large Indian cities and make daily commute easy and hassle-free.